Mailed payments only accepted at this location. May I have my payment automatically deducted from my checking or savings account? Yes. We offer a free automatic payment plan to qualified customers. To enroll, call us toll-free at (855) 563-5635 and have your bank account, routing and check numbers available when you call. The Auto Pay Authorization Form – required for Auto Pay application by mail or fax – can be found by clicking the link below, or is also available on the back of your customer statement. How can I send my payment quickly? Use the following links for information regarding MoneyGram Express and Western Union Quick Collect. Any payments made before 5 p.m. Central Time (6 p.m. Eastern) (including overnight payments and payments made via certified mail) will generally post to your account within one to three days after they are received (excluding weekends and holidays). However, your bank may not debit the funds from your account for up to 48 hours. Any payments made after 5 p.m. Central Time (6 p.m. Eastern) will post to your account the following business day (excluding weekends and holidays). Do you accept payments by telephone? Payments can be made by phone using your checking, savings or debit account by calling 1.888.222.4227 toll free. Along with your account number, make sure you have your bank account, routing number, check number or debit card information available. Paying through our interactive voice system is free with a checking/savings account, but there may be a fee for using a debit card or speaking with a representative. How is daily interest computed? If my payment does not clear the first time it is submitted, will the transaction be submitted again? All payments, whether personal checks, electronic payments, or checks by phone may be submitted more than once. May I refinance my contract? Chrysler Capital does not offer a refinancing option on existing Chrysler Capital loans. For additional information, please contact a Chrysler Capital account representative at 855-563-5635. Payments are required to be made by the due date listed in your contract. Interest charges will accrue on the past due amount and be applied to your account each day, which increases the total amount you pay on your contract. In addition, where applicable, late fees will be assessed to your account. At what point will I be charged a late fee? Depending on the state you live in, you may be assessed a late fee if your payment is 10 days past due. For example, if your payment is due on the 5th of each month, it must be received by the 14th to avoid a late fee. In accordance with your contract, you must make timely payments each month. If you believe you cannot make your monthly payment on time, please contact an account manager right away. Account managers may be reached toll-free at (855) 563-5635. If your account is in good standing, you may request a due date change of up to 20 days from the original due date. Please note that a due date change is permanent and you are allowed 1 per life of loan. To request such a change, please call one of our account managers toll-free at (855) 563-5635. On your monthly statement, it is the first 7 numbers of the field labeled “Account Number”. Call (855) 563-5635 and following the steps below to obtain your customer number: Enter your SSN and birth year. Enter option 5 to get customer number. I’m getting a message indicating that “account was not created” when I attempt to set up my account? Verify that the SSN and birth date information entered is correct. The same email address that is being used for another customer’s user name (even if it is the co-borrower on an account) cannot be used. Try again using another email address. What can I use for user name? User Names must be a minimum of 6 characters and may not exceed 25 characters. Why am I getting the message to call Chrysler Capital, but can’t access my account? Certain account statuses require personal attention and will require that you speak to a customer account representative. Please call the number provided – (855) 563-5635. Why can’t I make account updates? The system will not allow updates between 11:30 p.m. and 5 a.m. CT (12:30 a.m. and 6 a.m. ET) daily while the systems are being updated. Can I get assistance while viewing my account information? There is a live chat link on the top right-hand side of each tab. Agents that can answer specific questions via a text session are available Monday-Thursday from 7 a.m. to 9 p.m. CT (8 a.m. to 10 p.m. ET) and Friday from 7 a.m. to 7 p.m. CT (8 a.m. to 8 p.m. ET). How can I send an email with a question to Chrysler Capital? Visit our Contact Customer Service page, complete the required fields and click on “submit.” We will contact you as soon as possible. For a more timely response during customer service hours, you can Live Chat with us by logging in to MyAccount. How can I view past payment history for my account? On the Statements tab, choose the desired statement date from the drop-down menu and the chosen information will be presented. How can I view past statements for my account? How do I update or add contact, employer or reference information? On the Request Payoff tab, choose the “Request Payoff” button. I forgot my user name, how do I retrieve it? On the login screen, choose “I forgot my username” and enter the email address that was used when the account was created. You will be prompted to answer three security questions. Upon successful validation, your user name will be displayed. We offer several options to make your monthly payments, allowing you to choose the one that best meets your needs. The easiest option is Auto Pay, with funds deducted automatically from personal checking or savings account and credited to your Chrysler Capital account by the payment due date. Other free payment methods include paying online with a checking or savings account, calling our interactive voice system and using a checking or savings account or mailing your payment. Several other payment options are available that may include fees. For all payment options, go to our Make a Payment page. Chrysler Capital no longer offers the option to make payments with a credit card. I recently paid off my vehicle; When I can expect my title? Chrysler Capital releases its lien on accounts that have been paid in full based on individual state rules and regulations. The release of lien may be a separate document or it could be the original vehicle title, with the lien signed off on the front. All titles and releases of lien are sent via regular, first-class mail. Original Titles If you receive the title from Chrysler Capital, it is recommended that you visit your local DMV or tag office and apply for a clear title. A lien remains attached to the VIN in the state’s system of record until you, the registered owner, request that it be removed and show proof that the lien has been paid. If you choose not to apply for a lien-free title, and the title is misplaced or damaged in any way, you will then need to contact Chrysler Capital for a release of lien before you will be able to apply for a duplicate title from your state. The fee to apply for a lien-free title varies by state. In most cases, there will also be a fee to obtain the release of lien. What exactly is a release of lien? How do I get one? A release of lien is a document stating a lender’s interest in a vehicle has been satisfied and it may be sent in lieu of a title document for many reasons, such as title-holding states, titles never received from state DMVs and misplaced or damaged titles. Where an original title is available the lien is satisfied on the title and is forwarded to the appropriate party. In such cases an additional release of lien will not be issued for a minimum of 30 days. The states listed below are known as title-holding states. Title holding states are those where the DMV forwards the title to the registered owner versus the lien holder. If you reside in one of these states and have never received the title for your vehicle, you will want to call your local DMV or tag office to inquire about the process to apply for a duplicate title. Occasionally, titles are lost in the mail, misplaced or damaged. In these cases, a release of lien is created and forwarded in lieu of the title document. Once received, the release of lien should be taken to your local DMV or tag office where you can apply for a lien-free title. I was thinking about trading or selling my vehicle. What do I do about the title? If you are considering selling your vehicle to another individual, you will need to pay off your loan and obtain the title or release of lien first. If you received an original title, you may transfer ownership and remove the lien in one transaction by signing over the title to the new owner on the back. If you live in one of the states listed below, you should have received your title from the state shortly after you purchased your vehicle. 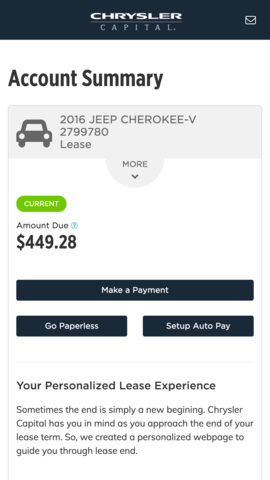 You can attach the release of lien document received from your lender to the title and sign over ownership of the vehicle. Again, the transfer of ownership and removal of lien holder can be done all in one transaction. If, however, you did not receive or have misplaced the title, you will need to apply for a duplicate title before moving forward with the sale of your vehicle. If you’ve received a release of lien and do NOT live in one of the states listed, you will need to apply for a duplicate title before moving forward with the sale of your vehicle. If you are considering trading or selling your vehicle to a dealership, the dealership will typically take care of a loan payoff and title collection as part of the transaction. Once the payoff is received, title release documents will be forwarded directly to the dealership that paid off the loan. Please use this form if the title needs to be sent to anyone other than the registered owner of the vehicle. Without authorization to do so, Chrysler Capital may mail the title to the address on file for the registered owner. Please mail form with final payment. If you have additional questions regarding how to transfer the title of your vehicle, visit your state website or local DMV or tag office. If you are unsure how to access the website for your state, you can use www.dmv.org or www.anydmv.com to be directed to your state’s vehicle title and registration information. From these sites, you can access and download forms you may need, get general information regarding standard transactions, and/or obtain contact information for your local DMV or tag office so you may ask more specific questions. I’ve recently moved to a different state and I need to register my vehicle. What should I do? The first step is to visit the website or local office of the state to which you recently located. There you can obtain information regarding individual state requirements and/or time frames in which the transfer of registration must be completed. If you are unsure how to access the website for your state, you can use www.dmv.org or www.anydmv.com to be directed to your state’s vehicle title and registration information. From these sites, you can access and download forms you may need, get general information regarding standard transactions, and/or obtain contact information for your local DMV or tag office so you may ask more specific questions. Once the request is received from the DMV or tag office, Chrysler Capital will arrange for the title to be mailed. The title will be mailed directly to the DMV or tag office making the request. Because of the lengthy process in pulling and preparing the title, please allow a minimum of two weeks for the DMV or tag office to receive the title. All requests for title are sent via regular, first-class mail. If the state in which your vehicle is currently titled is listed below, you should have received the title directly from the state DMV shortly after purchasing the vehicle. If you previously resided in one of these states and do not have the title, you will need to contact the DMV or tag office in your former state of residence in order to obtain a duplicate title. If you have additional questions regarding a relocation request, you may contact the Chrysler Capital title department at (855) 531-5531. I have recently changed my name (because of a marriage, divorce, court order, etc.) and need to update my title and registration. What do I need to do? The first step is to visit the website or local office of the state in which you reside. There you can obtain information regarding individual state requirements and/or time frames in which the transfer of registration should be completed. If you are unsure how to access the website for your state, you can use www.dmv.org or www.anydmv.com to be directed to your state’s vehicle title and registration information. From these sites, you can access and download forms you may need, get general information regarding standard transactions, and/or obtain contact information for your local DMV or tag office to ask more specific questions. If the state in which your vehicle is currently titled is listed below, you should have received the title directly from the state DMV shortly after purchasing the vehicle. If you have additional questions regarding a name change request, you may contact the Chrysler Capital title department at (855) 531-5531. My vehicle was previously repossessed, but I have it back and am having difficulty renewing my registration. What should I do? Some states require a title be placed in the lender’s name when a vehicle is repossessed. This may be the case with your title. While Chrysler Capital makes every effort to place the title back into the registered owner’s name upon reinstatement of the loan, there are occasional situations that prevent us from doing so without participation of the registered owner. If you are unable to renew the registration of your vehicle and it has previously been repossessed, contact the Chrysler Capital title department at (855) 531-5531. I would like to have my name removed from the title and registration of my vehicle. How do I do that? To remove your name from the title, please contact Chrysler Capital’s title department at (855) 531-5531. Chrysler Capital will provide a name removal packet, which will need to be completed and returned to Chrysler Capital before the process can begin. You can only have your name removed from the title if there is currently a co-borrower listed on the loan and title. You must also request title removal documentation from the DMV for the original title. To obtain the required forms, visit the website or local office of the state in which you reside. There you can obtain information regarding individual state requirements for name removal. If you are unsure how to access the website for your state, you can use www.dmv.org or www.anydmv.com to be directed to your state’s vehicle title and registration information. From these sites, you can access and download forms you may need, get general information regarding standard transactions, and/or obtain contact information for your local DMV or tag office to ask more specific questions. Many states require the existing title be surrendered in order to reissue a new title. They may also require a letter of permission from the lender before removing a registered owner’s name. If either, or both, is a requirement of your state of residence, ask the title clerk at your local DMV or tag office to send Chrysler Capital a request for the title. Once the request is received from the DMV or tag office, Chrysler Capital will arrange for the title mailed. The title will be mailed directly to the DMV or tag office making the request. Because of the lengthy process in pulling and preparing the title, please allow a minimum of two weeks for the DMV or tag office to receive the title. All requests for title are sent via regular, first-class mail. If the state in which your vehicle is currently titled is listed below, you should have received the title directly from the state DMV shortly after purchasing the vehicle. It is likely, even though you hold the title for the vehicle, the state will request a letter of permission from your lender before removing a name from the title and/or registration. If this is the case, please include this information upon faxing the Chrysler Capital name removal letter, along with where the permission letter should be faxed, emailed or sent. I would like to have another person added to the title and/or registration of my vehicle. How do I do that? The person you want to add would have to be on the original contract when the vehicle was purchased or refinanced. If not, they will not be able to be added to the title. Additionally, if the person you want to add to the title has previously been removed, Chrysler Capital allows for only one change to be made to the title through the life of a loan. The second person will not be able to be re-added to the title. If the person you wish to add to the title is on the contract and has not been previously removed, visit the website or local office of the state in which you reside. There you can obtain information regarding individual state requirements for adding a name to a title. If you are unsure how to access the website for your state, you can use www.dmv.org or www.anydmv.com to be directed to your state’s vehicle title and registration information. From these sites, you can access and download forms you may need, get general information regarding standard transactions, and/or obtain contact information for your local DMV or tag office to ask more specific questions. Many states require the existing title be surrendered in order to reissue a new title. They may also require a letter of permission from the lender before another person can be added as owner. If either, or both, is a requirement of your state of residence, ask the title clerk at your local DMV or tag office to send Chrysler Capital a request for the title. Once the request is received from the DMV or tag office, Chrysler Capital will arrange for the title to be mailed. The title will be mailed directly to the DMV or tag office making the request. Because of the lengthy process in pulling and preparing the title, please allow a minimum of two weeks for the DMV or tag office to receive the title. All requests for title are sent via regular, first-class mail. If the state in which your vehicle is currently titled is listed below, you should have received the title directly from the state DMV shortly after purchasing the vehicle. It is likely, even though you hold the title for the vehicle, the state will request a letter of permission from your lender before adding a name to the title and/or registration. If this is the case, please fax a request for the permission letter to Chrysler Capital. Be sure to include the information regarding where the letter should be faxed, emailed or sent. If you have additional questions regarding your request, you may contact the Chrysler Capital title department at (855) 531-5531. I have been informed my title is electronic. What does that mean? Some states offer and/or require lenders to participate in electronic title programs, called ELT (Electronic Lien and Title) or e-title programs. If you reside in one of the following states, it is possible the no paper title for your vehicle has been created. Instead, the title is held as an electronic record and will only be printed upon request of the lien holder and/or registered owner. How does an ELT or e-title program affect you, as the registered owner of the vehicle? You will see very little impact, unless you relocate to a different state, want to change your name on the title, or need a photocopy of your title for any reason. In these cases, a paper title must first be requested from the state, which adds to the time before the title can be forwarded to the requesting party. Once the title is printed and mailed back to the lender, it can then be forwarded to another DMV or tag office for updates, or a copy forwarded to you, the registered owner. If my title is an ELT or e-title, how will I get my title once my loan is paid off? Each state with an ELT or e-title program varies slightly in how title transactions are processed once a loan is paid in full. See below for information on the various states. Arizona-an electronic notification from the lender is sent to the state. Once received, the lien information is removed from the title record. A free and clear paper title is printed in the registered owner’s name and forwarded to the appropriate recipient/address. As of May 2010, Arizona is a mandatory ELT state, requiring all lenders to participate. California and Massachusetts-an electronic notification from the lender is sent to the state. Once received, the lien information is removed from the title record. A free and clear paper title is printed in the registered owner’s name and forwarded to the appropriate recipient/address. IMPORTANT NOTE-if the title is being sent to the registered owner, California and Massachusetts will send the title to the address listed on the current vehicle registration. If you have moved within the state and did not update your address, your title will be sent to the most recent address the state has recorded for you. Florida, Ohio and Texas-an electronic notification from the lender is sent to the state. All Florida, Ohio and Texas titles remain an electronic record unless a paper title is specifically requested. If your loan is paid in full, you may request your paper title through the appropriate BMV/DMV website or by visiting a local tag office. State fees apply. New York-New York is the only ELT state that holds an electronic lien but issues a paper title and forwards the paper title to the registered owner. In addition to the lender sending an electronic transmission notifying the state of a satisfied lien, a release of lien must also be attached to the title. SCUSA will create and forward a release of lien document upon satisfaction of the lien. Georgia, Hawaii, Idaho, Louisiana, Nebraska, Pennsylvania, South Carolina, Virginia, Washington and Wisconsin-an electronic notification from the lender is sent to the state. Once received, the lien information is removed from the title record. A free and clear paper title is printed in the registered owner’s name and forwarded to the appropriate recipient/address. How much additional time should you add when an ELT or e-title needs to be changed into a paper title? This varies by state and the time of year. As with many other things, title offices have their busy seasons, and during busier times of the year it may take longer for a paper title to be issued. Once a request for a paper title has been submitted to the respective state, waiting for the document can add as little as one day or as long as six weeks to any process for which the paper document is required. The state DMV sent me the title to my vehicle. Is there anything I need to do? A lender’s lien information is still recorded on the front of the title and the lender receives a separate document, reflecting interest in the vehicle. Some states refer to such documents as lien entry forms, lien cards, security interest filings, etc. Once a loan is paid in full, the lender will forward either the respective document or a release of lien to the registered owner or other interested party. This document will need to be attached to the title in order to complete any future transactions with that title. If you do NOT reside in one of the states listed above and received your title prior to paying off your loan, contact Chrysler Capital immediately at (855) 531-5531. Was my online payment received? How do I know? Successful online payments receive a confirmation number by the payment system. It is important to record this confirmation number for your records until you confirm that your payment has been correctly debited from the account from which the payment was made. When will my online payment be posted to my account? Payments will be posted within two (2) to three (3) business days from the scheduled transaction date. I have made a payment. Why am I getting calls regarding a past-due amount? Payments made online generally post two (2) to three (3) business days from the scheduled transaction date. Once your payment is processed – and if your account is no longer has any past due items associated with it (interest, late fees, etc.) – collection calls will be discontinued. Each financial institution has unique timelines for processing and posting financial transactions. Please contact your financial institution for details. I tried to use the online payment site, but the system is not recognizing my account number, date of birth and/or Social Security number. What’s happening? Please verify that we have your correct information by calling toll-free at (855) 563-5635. In addition to verifying your account number, date of birth and Social Security number, you should also review other parts of your customer profile that might have recently changed (address, phone number, etc.). If your information is incorrect in our system, please update your information with a service representative. Please be advised that it takes one full business day for any updates to be processed. I made a data entry error and paid an incorrect amount and/or used the wrong type of payment method. What can I do? Please contact us toll-free at (855) 563-5635 and explain the situation to a service representative. Your representative and, if necessary, a supervisor will determine if a refund is in order. Please contact your financial institution to determine when a refund transaction will post to your account. I believe my card / account number was used fraudulently for a payment. What can I do? In instances of suspected fraud, please work directly with your financial institution(s) to resolve the issue. Your financial institution(s) should provide an avenue for disputing and settling fraudulent payments. How do I request the amount required to pay off my account? Please call our automated account information line, toll-free, at (855) 563-5635 to obtain payoff information, payment history and due date, or to update your account at any time. Information is available 24 hours a day in English and Spanish. You’ll need your account number or Social Security Number to access the system. Where do I mail payoff checks? How do I request my payment history? How do I cancel my Vehicle Service Contract (warranty)? How do I handle an insurance claim due to physical damage? Please call toll-free at 855-858-0808 to speak to one of our Insurance Representatives. Please have the following information available: the date of the accident, the insurance company’s name and phone number, claim number, and the insurance adjuster’s information – if applicable. How do I get my insurance check endorsed? Once the repairs to your vehicle have been completed and all required documentation has been received, we will endorse the check and send payment for the repairs to the licensed repair facility. Where do I send insurance information? What do I need to do if I must take my vehicle out of the United States? How do I enroll in Paperless Statements? 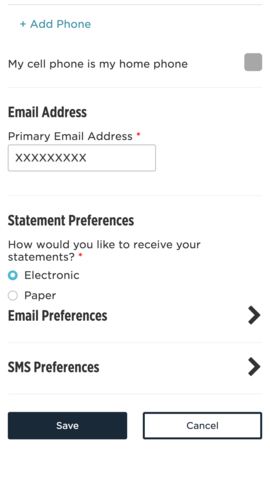 If you are receiving paper statements, when you log in to MyAccount you will see a “Go Paperless” button that will take you to your “Statement Preferences.” Choose “Electronic” and then save. To confirm your statement preferences log in to MyAccount, from the Account Summary page, click on “Account Profile.” Click on “Contact Card,” scroll down to “Statement Preferences,” choose “Electronic” and then save. I don’t see a “Go Paperless” button when I log in to MyAccount. What do I do? If you have logged in to your MyAccount and don’t see a “Go Paperless” button, it’s because you have already signed up for and are receiving e-statements.